teampendley We Go The Extra Mile… It's Less Crowded! We have collected a great assortment of decorating and food ideas to make your New Year Celebration just a little more festive. Tips and recipes for your New Year Celebration!!! We Go The Extra Mile, It’s Less Crowded! You can get a credit on your Oregon income taxes for making your home more energy efficient and helping preserve Oregon’s environment. Below is a list of the energy efficient products/technologies that are eligible for a tax credit. Click on the heading to go to the page that explains the credit, lists qualifying equipment, and has application forms and instructions. Ductless heat pumps are appropriate for both replacement of existing heating systems, especially baseboard/wall heaters, as well as for new construction. Ductless heat pumps have been installed in commercial buildings for more than 20 years and are available from many manufacturers. Premium efficiency furnaces and air handlers can reduce your home energy costs and improve comfort. Installation of these systems does not require a Department of Energy approved tax credit technician. Be sure the system you install meets the eligibility requirements for each technology below. 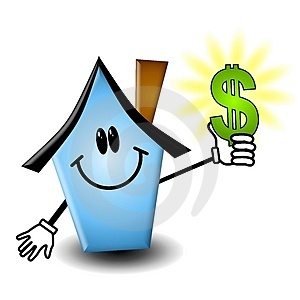 Premium efficiency heat pumps systems can save you money on heating each year. The only way to be sure they are operating efficiently is to have a performance verification test on your new and existing system. Only the highest energy efficient wood and pellet stoves qualify and must meet specific criteria. Poinsettia is the brilliant Christmas plant that, with a little love, will bloom long after the ho-ho-hos have faded. Here’s how to care for poinsettias and help them last for up to eight weeks. Dark green foliage before color develops. Bracts (colored leaves) completely colored without green perimeters. Lush and filled with leaves, not yellow and sparsely covered. Displayed naked without plastic sleeves that can cause plants to droop. Cover the plant only when transporting in temperatures below 50 degrees. 2.5 times taller than its diameter. Poinsettias originated in Mexico and don’t like the cold, even for a few minutes. So make sure you wrap the plant before driving it home, and then keep it away from hot and cold drafts, such as heating registers and drafty windows, which can make leaves drop. Display your poinsettia in indirect light for about 6 hours per day. High temperatures will shorten the poinsettia’s life. Keep room temperatures at 60 to 70 degrees during the day; around 55 degrees in the evening. You might have to move the plant around to expose it to optimal temperatures, like keeping it in the kitchen by day and in the mudroom by night. Water when the soil is dry to the touch. If you keep the plant in foil, puncture the bottom to allow water to drain and prevent root rot. Empty drip trays after watering. Be careful not to over-water, which can cause wilting and leaf loss. 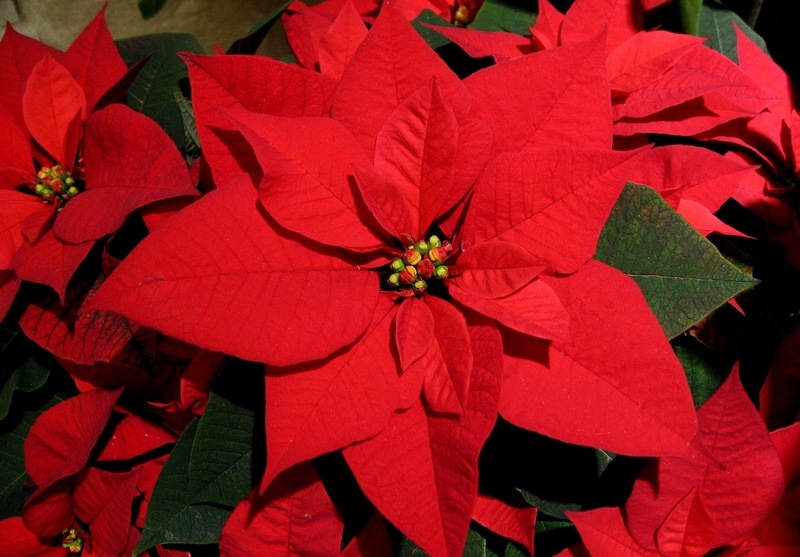 Feed blooming poinsettias every 2 to 3 weeks with a water-soluble plant food; water monthly after blooming. Coaxing a poinsettia to re-bloom each year is an exhausting process. Each month from January to December you have to snip or repot; move to the dark or move to the light; water or not water — you’ll get a migraine just thinking about it. Since a new 6-inch poinsettia costs a ten-spot, you’re better off buying a new crop each year and spending your time and energy on other gardening delights. But if you’re a waste-not person, here’s a look at what you can do to coax your poinsettia to bloom again next year. January-May: Give your plant plenty of sun and enough water to stay moist, but not soggy. Fertilize every 2 weeks. In early April, prune to 6-8 inches tall. June: Repot with fresh soil and move your poinsettia outdoors where it can get 6-8 hours of direct sunlight. Fertilize weekly until early fall. If you put the plant on a patio, give it shade during the hottest part of the day. If you place the pot in a flower garden, lift and turn it weekly so roots don’t grow into the ground and become shocked when you return the plant indoors in September. Late July: Pinch off the top of the plant and 2-3 leaves on each stem to prevent the poinsettia from getting leggy. September: Bring the poinsettia indoors when nighttime temperatures fall into the 50s. Place in a sunny window, and water when dry to the touch. Fertilize weekly. October 1 to Thanksgiving: To force the bracts to color, the plant must be kept in uninterrupted darkness from 5 p.m. to about 8 a.m., and then returned to bright sun for the rest of the day. There should be a 7-10-degree difference between the dark and light environments: optimally, 65-70 degrees at night, and 70-80 degrees in the day. Fertilize weekly. Thanksgiving: When the bracts begin to color, suspend the dark-light routine, and keep the plant moist and in a sunny spot for 6-8 hours daily. After full color has been achieved (congratulations! ), stop fertilizing and move the poinsettia to wherever it will be admired most. Ocean View Home With A Fantastic New Price!!!!!! Newer 2 bedroom, 2 bath w/Office or Guest Room! This AMAZING home in Bayshore is located just a one block walk to the beach & very close to private clubhouse. Entry through an enclosed courtyard w/floor to ceiling windows makes any weather perfect for outdoor bbqing, & entertaining. Living room has a gas fireplace, spacious open floor plan & 360 degrees of fantastic views. Master suite has a full bath w/Jacuzzi tub, 2nd bedroom has jack-and-jill entry to bathroom w/shower & inside laundry. 3rd bedroom/office or guest room has built in book shelves & entertainment center. Team Pendley/Hall’s Pinterest Holiday Helpers!!! Cookie recipes for all occasions. Christmas food decorating and tips. Lebanon Oregon 5.5 Acres With Barn and Shop!!! This VERY well kept Classic 1940’s Home sits on 5.5 Acres in Lebanon w Large Shop w loft, Barn w Stalls, Pig House, a Chicken House, plus a covered RV Parking Area & ! With 3 bedrooms, 2 baths, upstairs loft area w room for 2 beds, 1808 sq ft… It’s all right here! Oversized laundry room w pantry storage, mudroom w storage, large master bedroom, formal dining room w fireplace, electric forced air, gas range.. this one is a GEM!